Driven by today’s supercomputers, larger and larger sets of data are created during numerical simulations of geoscientific applications. Such data often describes instationary processes in three-dimensional domains in terms of multi-dimensional data. Due to limited computer resources, it might be impossible or unpractical to store all data created during one simulation, which is why several data reduction techniques are often applied (e.g., only every nth time-step is stored). Intuitive scientific visualization techniques can help to better understand the structures described by transient data. Adequate reconstruction techniques for the time-dimension are needed since standard techniques (e.g., linear interpolation) are insufficient for many applications. 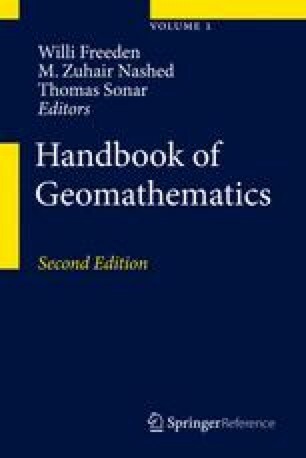 We describe a general formalism for a wide class of reconstruction techniques and address aspects of quality characteristics. We propose an approach that is able to take arbitrary physical processes into account to enhance the quality of the reconstruction. For the eruption of the volcano Eyjafjallajökull in Iceland in the spring of 2010, we describe a suitable reduced model and use it for model-based visualization. The original data was created during a COSMO-ART simulation. We discuss the reconstruction errors, related computational costs, and possible extensions. A comparison with linear interpolation clearly motivates the proposed model-based reconstruction approach. The online version of this chapter (doi: 10.1007/978-3-642-54551-1_87) contains supplementary material, which is available to authorized users.